Celebrating a partnership which spans more than 15 years, innovative British brand Montane®will again team up with materials science company PrimaLoft, this time for the first time at Kendal Mountain Festival, which runs from 15 to 18 November. Focus at the festival will be on PrimaLoft’s first loose-fill insulation, PrimaLoft®Insulation ThermoPlume®, which is the closest any synthetic insulation has come to mimicking the structure of natural down. Montane was the first UK outdoor brand to use the innovative ‘blowable’ insulation in its Autumn/Winter 2017 range and has extended its range of products for this season. 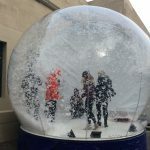 Festival-goers will have the opportunity to enter a snowglobe and instead of snow, be showered in PrimaLoft®Insulation ThermoPlume®, experiencing its fluidity, feel and warmth in a fun and memorable way. 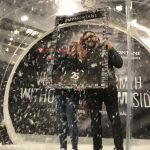 The snowglobe will also provide a focal point for photograph opportunities and both Montane®and PrimaLoft will be encouraging visitors to share their photos on social media, using hashtags #PrimaLoft #ThermoPlume and #MyMontane. The ‘ThermoPlume snowglobe’ was first used in the official launch of PrimaLoft®Insulation ThermoPlume®last autumn, proving to be a big hit with all journalists in attendance. Retailer Go Outdoors has also recently used the snowglobe to promote Montane’s product range. Montane will be showcasing its new and extended range of four PrimaLoft®Insulation ThermoPlume®jackets for Autumn / Winter 2018 season at the festival, including the new Icarus and Phoenix Flight Jackets and Icarus and Phoenix Vests. The two brands have more activities planned at Kendal Mountain Festival and these will be announced in the near future.